Anyone can succeed in running a business, according to Professor Charlie Harary of Yeshiva University. Anyone can succeed in running a business no matter his background, Professor Charlie Harary told Arutz Sheva. Harary is a Clinical Professor of Management and Entrepreneurship and an Associate Entrepreneur in Residence at the Syms School of Business at Yeshiva University. “It’s so important to understand how business works because there are so many people out there who want to play a bigger role in business and they can,” he said. 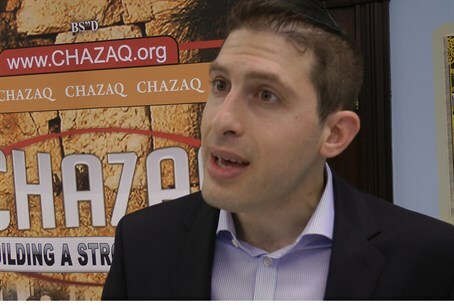 Harary recently held the LTB Business Summit, which enabled Jews from all backgrounds to get together, hear lecture from speakers and learn from one another. “The speakers spoke about how to get better in business and the crowd went crazy, because there are so many people who want to make a livelihood. They want to try but they don’t know how,” he said.